Do you like Wedding Style Cinderella vs Rapunzel vs Elsa? Share it with your friends. 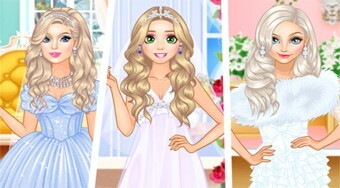 Help Cinderella, Else and Rapunzel choose the most beautiful dresses on their upcoming weddings.